There's nothing better then being recognised in your job. And, last week saw thousands of you voting for the 'Wiltshire's Best' as part of the GWR FM competition. From best teacher, to best restaurant, best boss, to best hairdresser these are just a few of those been crowned the title of 'Wiltshire's Best'. Whether you're going for a simple trim, or the full works with a new style and colour, you lay your faith in your hairdresser. The scissors battle commenced - but, Becky Tanner at OMG managed to snip her way to the top! "When the results were read out, I was so surprised, but so, so happy!," commented Becky Tanner, OMG Hair and Beauty Salon. "A tear came to my eye to think so many people voted for me - so thank you to everyone." Becky has since seen her award being taken one step further, as she has made it through as a semi finalist to the Nation's Favourite Hairdresser Award out of 1400 other hairdressers nationwide! To help Becky to win, genuine clients need to go to the website (see link below) and write a story about her. That's why it's both your good and bad teachers that always stick in your mind. But, a teacher that came top of the class above the rest, was Miss Kelly Sutton who teachers dance, drama and art at Dorcan Technology College in Swindon. "I couldn't believe my ears when they announced my name on the radio as the winner!," Miss Sutton told us. "I felt so overwhelmed, it's such a great feeling to have your work recognised - but to have it broadcast to Wiltshire is something else. "I feel so proud to have been put forward by my wonderful students, it's their constant energy and enthusiasm that makes my job so enjoyable and I have only them to thank for making me Wiltshire's best teacher - thanks guys!" 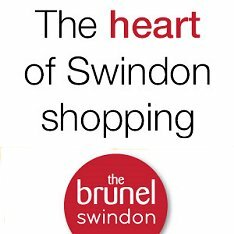 It was always going to be a tough category to be nominated in with over 412 different restaurants across Wiltshire! 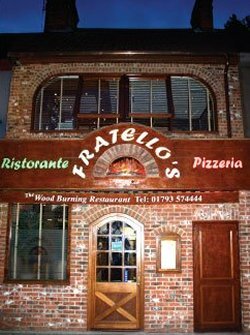 But family-run Fratello's showed they're Italian cuisine is to dine for! Beating The Three Crowns at Brinkworth and The Vine Conservatoire at Bradford on Avon, The Woodburning Restaurant has proved it's the place to visit in Swindon! "We were so pleased to be even nominated - but to win is overwhelming!" a delighted Ricky Mazzotta said. "We love our regular customers and it's our motto to give the best service we can, but to be given recognition with an award like this left us speechless, and we want to thank all those who voted."